How important is hair care? Do we really focus on a regime and follow some basic steps to nutrition our hair or its just a chore to wash and condition. Hair fall, dandruff, scalp allergies are serious issues and they need to be addressed and finding the right solutions. In our constant hustle bustle of life we forget that hair care is as important as our face or body care. Honestly, i am blessed with good hair despite the damages I’ve done to it right from college days. Right from frequent razor cuts (yeah, they were the rage when i was studying) to colouring or streaking I did it all. My mom used to get most worried that by the time its time to get married, I’ll have nothing left. Lollzz, however they survived. And that didn’t stop me from continuing the damage, thanks to an extremely patient hubby. As much as he loved my simplicity he couldn’t just say no for all the experimenting i wanted to do. 😉 However, I have always had a regime. I know my hair type and i have always chosen a shampoo and conditioner which addresses my oily scalp. I go for regular hair spas and also oil my hair once in a while. Despite that I was amazed at how my knowledge was still limited and there was so much more to hair care. 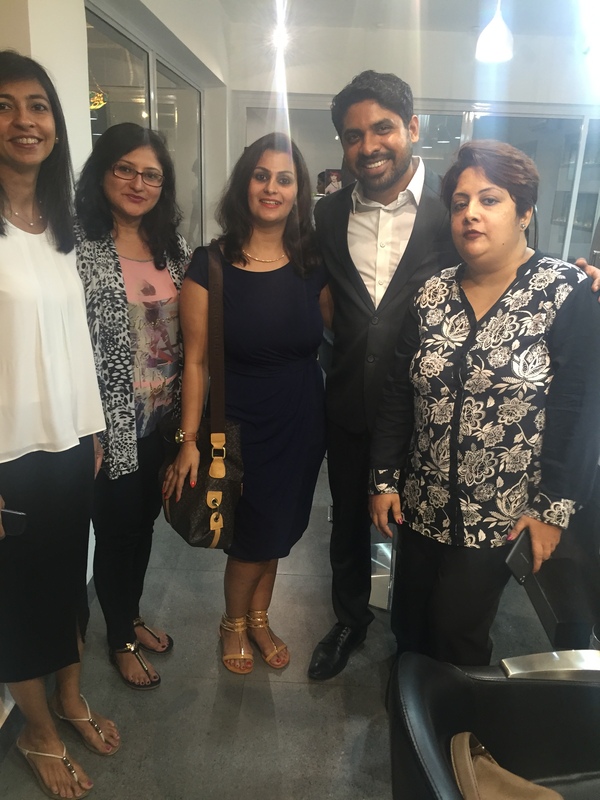 So, I was very excited when I was invited for a hair talk by the very famous Shailesh Mistry. 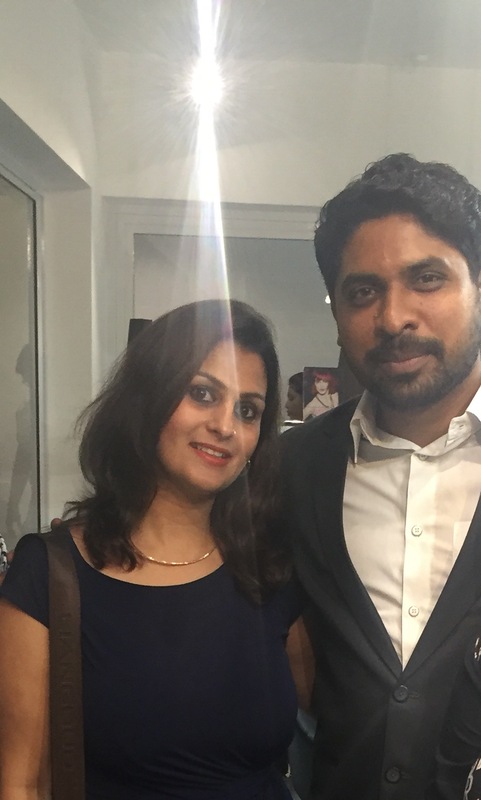 Shailesh has been working his magic for ages now and every one who walks in his salon comes out looking and feeling absolutely wonderful and stylish. I had heard of him but never met him in person. But am glad i attended the event. It was very informative and an eye opener. Eat healthy, just like your skin your hair too get affected by unhealthy eating habits. Eat wisely and get that extra dose of proteins. A coin size amount of shampoo is all you need to cleanse your hair whatever the length. And do not dab it straight on to your hair. Put it on your palm, rub both hands together to create froth and then massage it gently in your scalp. Shampooing is always for the scalp, to get rid of all the dirt and sweat. Do not ever forget conditioning. And again use coin sized amount to clean the mid lengths to the ends every time you wash your hair. Leave for a minute or two and then rinse. Use pea sized amount of leave in product from your mid lengths to ends to avoid frizz. Let your hair dry naturally as far as possible. And if you must use a blow dryer or a flat iron use a heat protecting product. Do not comb or tie your wet hair. It leads to breakage. Use a wide tooth comb and gently comb when they are wet. 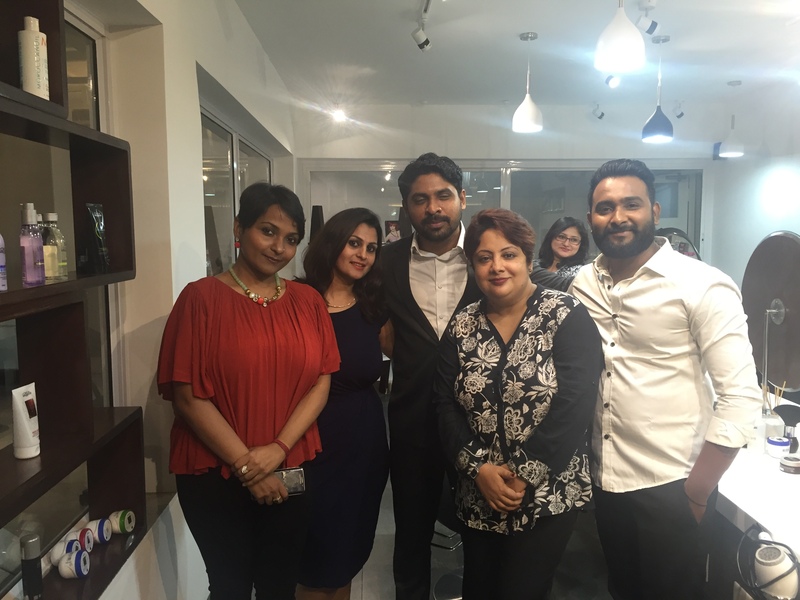 So go ahead ladies, pamper yourself – get a hair cut, colour those locks. You deserve a make over. Regular hair cuts or colouring won’t damage your hair if good quality products and after treatment regime is followed.